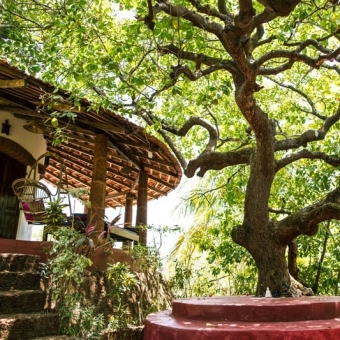 Ten days of yoga and meditation with Norman Blair and Maitripushpa Bois in the wonderful setting of Jivana Retreat Centre, Goa. Common complaints are tiredness and tension, strain and stress. Common desires are openness, clarity, simplicity. These ten days of yoga and meditation will allow space for participants to become more here, more embedded in body/mind and more able to practice and live with wisdom. Norman and Maitripushpa are experienced teachers with a deep commitment to making practice accessible and appropriate. There will be plenty of free time to rest and to explore the area. One of Goa’s most beautiful beaches is within easy walking distance. Rather than bullying the body and attempting to achieve postures, this is about befriending the body so the poses help us to be more body. Softening and strengthening the mind to be open to what is encourages this befriending, bringing together body, head and heart. 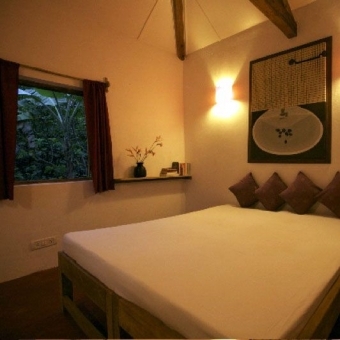 Accommodation is allocated on a shared basis or single occupancy. Retreat costs include accommodation, yoga, brunch after morning practice and homemade Indian style pure veg dinner, perfect for a yoga retreat.